In order to find a more effective way to protect our kids, we knew we needed to do the research. How could we more effectively protect our kids — and any athlete, for that matter — from harmful head injuries? Together with top neurologists and head trauma and concussion specialists, SkullTec has gone above and beyond, researching the specific conditions of every sport where athletes are at risk, and identifying the right material and design for that sport. 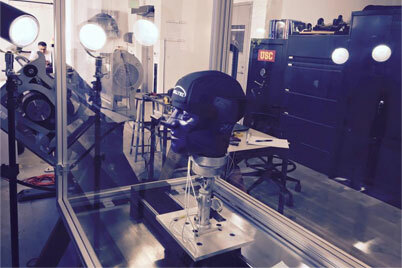 The result of our in-depth testing is our innovative gel product strategically placed in both a skull cap and a baseball hat to minimize the impact. Not only did we create something scientifically proven to protect better… we created something stylish. Our in-depth testing showed up to 43% reduction of G-Forces.